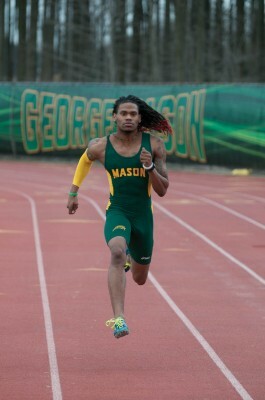 David Verburg is Mason’s fastest man, and he keeps getting faster. Verburg ran a stunning 45.83 in the 400m, on Feb. 9, at the SPIRE Institute Division I Invitational. Not only was it a personal record indoors, for Verburg but it is the world’s fastest time in the 400m, so far this year. Verburg, now a senior, started running track during his senior year in high school, finding success and scholarship offers. Mason’s success this year as a team has been a delightful surprise for Verburg, who hoped it would reach this level when he arrived as a freshman. “I had no idea at all that the program, as a whole, would be this good. We have great people all around. We have a good coaching staff, good jumpers and good distance runners,” Verburg said. Now that Verburg is leading a currently nationally 22-ranked team, he is running the fastest he ever has. Besides setting personal records indoors, in the 200m and 400m, he is also on one of the country’s best 4x400m teams, with teammates George Empty, Adrian Vaughn and Angel Coburn. Verburg believes his training and the push his teammates and coaches are giving him directly results in his improved running times. Verburg’s biggest success undoubtedly comes in the 400m, his favorite event. 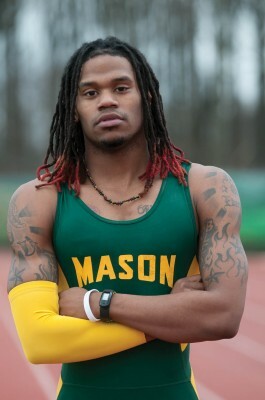 His high school coaches first introduced him to the quarter mile sprint in order to get in shape for the 100m and 200m. Standing at only 5’6”, you would not expect Verburg to be as fast as he is at such a long sprint. Verburg, however, likes that he is short. Last June, Verburg represented Mason at the Olympic trials in Eugene, Ore., in attempt to grab one of three spots for the United States at the Olympics in London. To add on to the list of his accomplishments, he finished in seventh out of the entire meet. He believes that experience will help his running this year. “It was great experience because it really gave me confidence to go into this year knowing that I competed with Olympians, world champions and pros at that level. So, it really gave me a boost coming into this year,” Verburg said. Verburg took a lot of pride in representing Mason at such a prolific and national event. As the season continues, Verburg hopes he and the team will finish the indoor season strong, as championship season quickly approaches.